of up to 1000 copies. N.B Cardboard wallets, for the quantity chosen, are digitally printed, folded and prepared by hand. As such there is a perforated edge around the wallet - particularly noticable with darker artwork colours and there can be slight variation in allignment. Most people are delighted with them but as perfectionists you need to know this. The printing quality is very good and the weight of the card 200gsm, so it feels substantial. Please confirm you understand this by ticking below. If in doubt please ask (cardboardwallet@duplicationcentre.co.uk) for a free sample prior to ordering. You have selected fast delivery on multiple projects. You will only be billed once for delivery. This is reflected in the price shown. ... and a unique reference to use should you decide to proceed. Usage: Audio, Data, Video, Games etc. We use AAA grade Moser Baer & Falcon Professional grade CD-rs. These discs are full face, which means your design can print right up to the centre of the disc. Our discs have a SILVER burnside, not the usual Silver/Green tint of a lesser grade cheaper disc. Our discs start life white coated upon which is printed your black text or colour design. Usage: Data, Video, Games etc. We use AAA grade Moser Baer & Falcon Professional grade DVD-rs. These discs are full face, which means your design can print right up to the centre of the disc. Our discs start life white coated upon which is printed your black text or colour design. We use AAA grade Moser Baer & Falcon Professional grade DVD+rs. These discs are full face, which means your design can print right up to the centre of the disc. Our discs start life white coated upon which is printed your black text or colour design. We use The Traxdata Blu-ray range, 1x 4 media, which have passed official Blu-ray certification. Our Blu-Ray discs are white coated. The white coating allows for full colour printing of any design, or for black text on a white background. We use full face discs, which means your on body design can go right up to the centre hole of the disc. Direct to the body (not labels!) 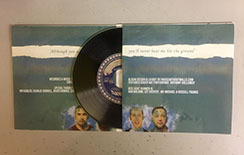 high quality professional digital printing of black text on a white CD surface. This is then sealed with a transparent layer of lacquer for professional use. Resolution is 4800 x 1200 DPI using the latest state of the art digital print process. Inferior processes such as Thermal printing (only 600 DPI) are never used. Direct to the body (not labels!) high quality professional digital printing in superb full colour – photo quality, which is sealed with a transparent layer of lacquer for professional use. Resolution is 4800 x 1200 DPI using the latest state of the art digital print process. Inferior processes such as Thermal printing (only 600 DPI) are never used. Your discs will come delivered on spindles of 100, 50 or 25 depending on the options chosen. N.B. PLEASE NOTE: Storage of stacked CD/DVDs on a spindle for more than 28 days may cause fogging on the readable / recordable side of the disc, and result in read / write errors. To ensure your discs are kept in pristine condition, simply remove the airtight cover, store in a cool dry place (not next to a computer) and separate the discs by occasionally fanning them to allow the air to get to the discs. This is industry standard for digitally printed discs. Our clear plastic wallets are a quality 120 Microns and have smooth edges. 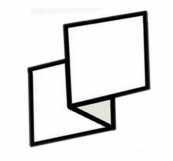 Our clear plastic wallets with adhesive strips are a quality 120 Microns and have smooth edges. This is an easy, durable and eco-friendly way to pack a single CD, DVD or Blu-Ray disc. 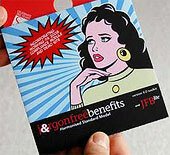 Printed front and back in full colour on Premium 300 gsm Pro Card, the disc fits snuggly into the cardboard wallet. Premium Quality & Die Cut for an immaculate finish. Printed using our Industry leading Digital press. The lancing pack is a 4 panel card wallet which opens like a book. Printed front and back full colour using our industry leading digital press. There are 4 panels for your artwork and an opening on the right for your disc to slot snugly into. Die cut for an immaculate finish. 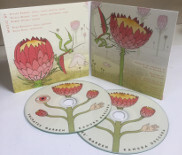 The lancing pack has a modern look and the perfect more eco-friendly option to the CD Jewel case. It is made from FSC Certified and sustainable premium card stock 300 gsm Pro Card. This is an easy, durable and eco-friendly way to pack two CD, DVD or Blu-Ray discs. Printed front and back in full colour on Premium 300 gsm Pro Card, the discs fit snuggly into the cardboard wallet. The double configuration price includes the cost of the second disc – either CD or DVD printed in black text or full colour. You can also choose to have 1 disc and a 4 page booklet or 2 sided card. 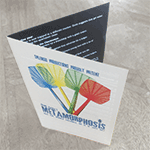 Digipaks are manufactured using 350 gsm card and come with a clear tray as standard; you can switch to a black tray if you wish at the same price. Digipaks offer a light, stylish and eco- friendly solution. N.B. Due to the limitations of the Digital print process 350 gsm is the most rigid card that can be used at this quantity and turnaround level. Our clients tell us when compared with others available from Digital printers, that we are the best available. Minimum quantity is 500 and turnaround is 10-15 working days. Litho printed Digipaks are more rigid. We will happily send you digitally printed samples. Please email samples@duplicationcentre.co.uk with a postal address. The Clam Shell case allows you to package one standard size CD or DVD. The Clam Shell Case features a unique D shape or clam shell design and a friction fit hub to securely close the case. The design on the disc shows through the clear clam shell case. Our clam shell case is a CSHELL branded case and is very hard wearing and a great way of mailing discs without worrying about damages. The NEXPAK Slimline Jewel case is approximately half the thickness of a standard case. It has a transparent front with solid black tray. A 2-sided card or 4-page booklet can be inserted in the front or you can just let the on body disc design shine through. Please note that the slimline jewel case cannot accommodate a rear tray card. Transparent NEXPAK Jewel Case with a clear tray which can accommodate a double sided rear tray card. Primarily used for audio CDs, these cases have the capability to insert paper inlays in the front and back of the box. Pictured above are the two component parts - the case and the tray - we package these together for you and pack your choice of printed parts. Transparent NEXPAK Jewel Case with black tray which can accommodate a single sided rear tray card. Primarily used for audio CDs, these cases have the capability to insert paper inlays in the front and back of the box. CD jewel case with Black tray which holds two CDs. The price of this configuration also includes the second disc either a CD or DVD printed in black text or colour (same price). Industry standard DVD packaging. Fixed place hub provides more protection for DVD. Clear acetate overlay that accommodates a colour DVD wrap and booklet insert clips inside the box. Also available in clear format to accommodate a double sided DVD wrap. We use branded Nexpak® or Amaray® cases - depending on supply. Both are robust, excellent cases and have a solid feel and look. Black Amaray Double DVD Case (Face on Face) The price of this configuration also includes the second disc either a CD or DVD printed in black text or colour (same price). Industry standard DVD packaging. Our clear DVD case comes with a fixed place hub which provides more protection for DVD. Clear acetate overlay that accommodates a colour DVD wrap and booklet insert clips inside the box. The clear DVD case accommodates a double sided DVD wrap as the design on the rear of the wrap is visible when the case is opened. We use branded Nexpak® or Amaray® clear DVD cases - depending on supply. Both are robust, excellent cases and have a solid feel and look. Clear Amaray Double DVD Case (Face on Face) The price of this configuration also includes the second disc either a CD or DVD printed in black text or colour (same price). Amaray Blu-Ray Cases 14mm spine. Our new high definition case is the ideal solution for Blu-Ray using industry-approved dimensions and matched color standards. This is a single piece of card, printed in full colour on both sides or if you prefer a single side, the price is the same. This is printed using full colour state of the art Ricoh® Colour printing technology. Industry leading 280gsm LumiArt® card stock is used for all 2 sided printing. Packaging – the price includes packaging of all your chosen artwork and cases so they are delivered to you ready to go. This is a single piece of paper folded in half and printed both sides to make what the industry rather grandly calls a 4 page booklet. Printed in full colour on both sides or if you prefer a single side, the price is the same. This is printed using full colour state of the art Ricoh® Colour printing technology. Industry leading 170gsm LumiArt® gloss stock is used for all 4 sided printing. This is a single piece of paper folded in a z shape to form 6 x sides of artwork. Printed in full colour on both sides - or if you prefer on a single side (the price is the same). This is printed using state of the art Ricoh print technology and industry leading 170gsm LumiArt gloss coated stock. Packaging - the price includes packaging of all your chosen artwork and cases so they are delivered to you ready to go. This is two pieces of paper folded in half and printed both sides and stapled to make an 8 page booklet, printed in full colour throughout. We use full colour state of the art Ricoh Colour printing technology. Industry leading 170gsm LumiArt stock is used for all 8 sided printing. This is the piece of artwork, that slips down the back of a DVD case and covers the front, back and spine. This is printed single sided using full colour state of the art Ricoh® Colour printing technology. We use industry leading 170gsm LumiArt® gloss stock. 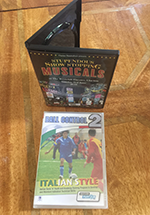 If you require a double sided DVD wrap, please choose that option – remember for this to be seen you will need to choose the Single Clear DVD case. This is the piece of artwork, that slips down the back of a DVD case and covers the front, back and spine. This is printed double sided using full colour state of the art Ricoh® Colour printing technology. We use industry leading 170gsm LumiArt® gloss stock. Please remember for this to be seen you will need to choose the Single Clear DVD case. This is the piece of artwork, also known as a rear inlay, that sits underneath the CD tray with flaps on each side. This is printed single sided using full colour state of the art Ricoh® Colour printing technology. 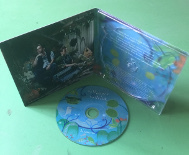 If you require a double sided Rear Tray Card please choose that option – remember for this to be seen you will need to choose the CD Jewel case with a clear tray. This is a single piece of paper folded in half and printed both sides to make what the industry rather grandly calls a 4 page DVD booklet. Printed in full colour on both sides or if you prefer a single side, the price is the same. This is printed using full colour state of the art Ricoh® Colour printing technology. Industry leading 170gsm LumiArt® gloss stock is used for all 4 sided printing. Packaging – the price includes packaging of all your chosen artwork and cases so they are delivered to you ready to go. The DVD booklet is housed in two clips inside the DVD case on the left hand side when opened. Cellowrap is the tight plastic covering which protects the case. Not to be confused with shrinkwrap (which is supple and pliable with a "pingy" texture when pulled) cellowrap gives a professional finish to ensure your product is sealed and ready to go for professional use. Due to the nature of cardboard wallets they cannot be cellowrapped. Rather than offer shrinkwrap (which is supple and pliable with a "pingy" texture when pulled) cellobags offer a much more professional look and feel with a sealing strip. Choosing this option means your cardboard wallets will arrive packed and sealed - ready to go for professional use. This process uses Preperforated polyolefin shrink film (gauge 15 micron) to seal and protect the case or digi-pak. Like cellowrapping this is a semi-automated process where the roll of wrap is cut to size using a heat bar, sealed and then literally "shrunk" to fit the case being wrapped with a heat gun. The customer then rips this off to open the product. Most of our clients require us to duplicate their discs. For a variety of reasons, however, some clients chose to burn their own discs. Software houses, for example, constantly update versions and wish to have highly professional branded discs, artwork and packaging, but need to burn their own discs on an ongoing basis. Artists of various kinds need to be able to update their Showreel to send out the latest examples of their work but require the discs to be professionally printed … the are many other scenarios too. Ticking this box means your discs will be left blank and your unit price will reduce by 5 pence. Leaving the box un-ticked means you require duplication. You will need to send us a master disc . Instructions on sending masters are provided with your receipt.